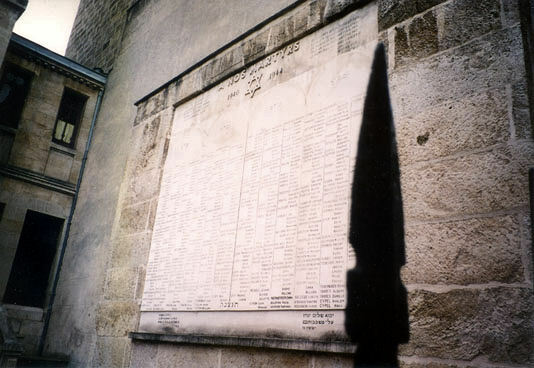 Martyrs' Memorial listing the hundreds of Jews of Bordeaux deported during the occupation located in the courtyard of the synagogue. 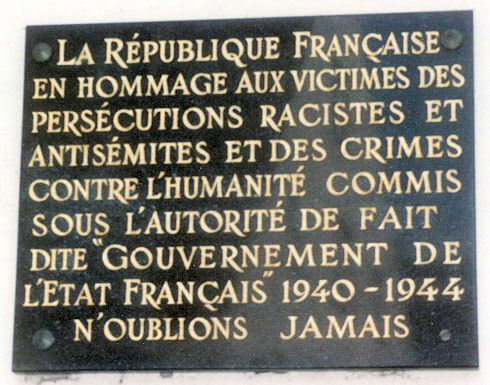 This memorial is located in Paris behind Notre Dame at the far end of the square of the Ile-de-France. 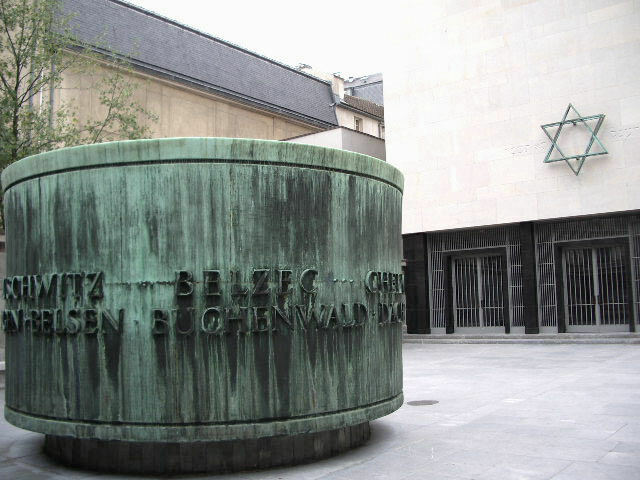 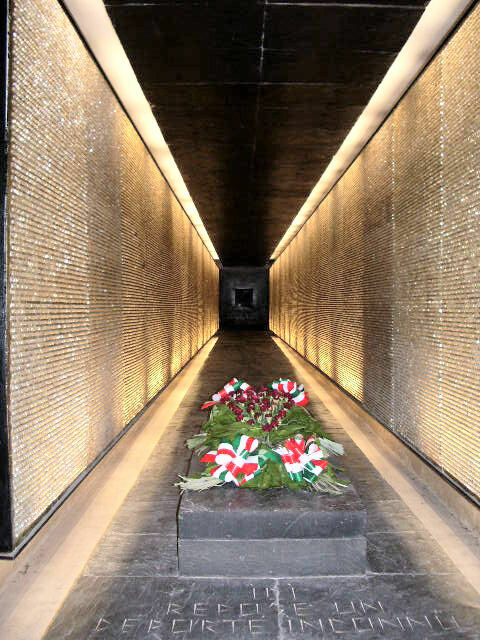 The memorial is dedicated to the unknown World War II deportee. 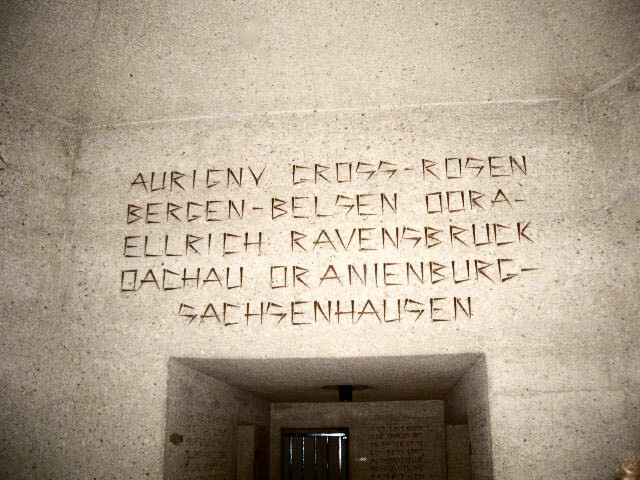 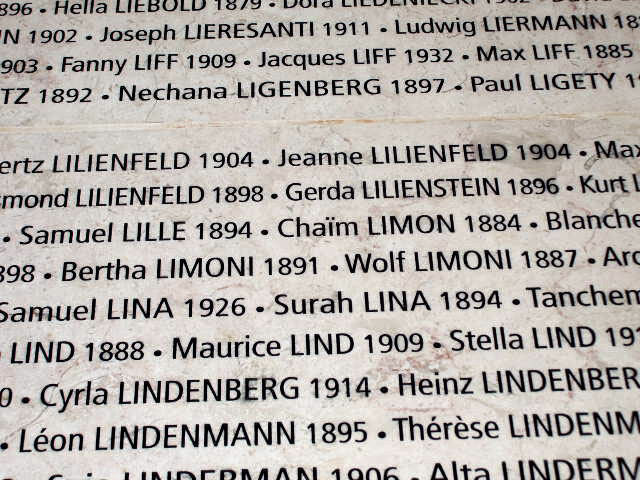 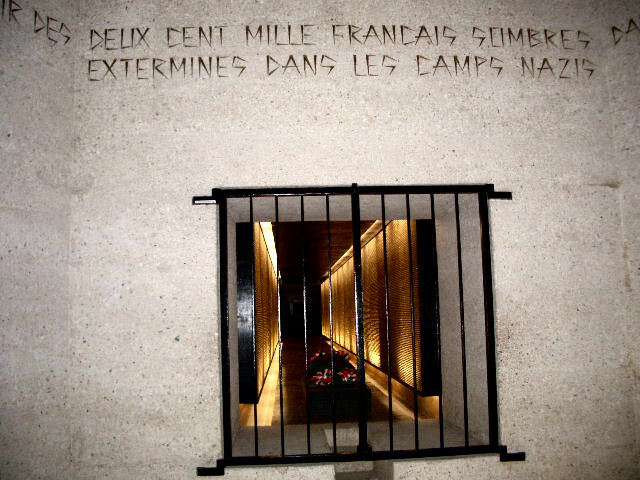 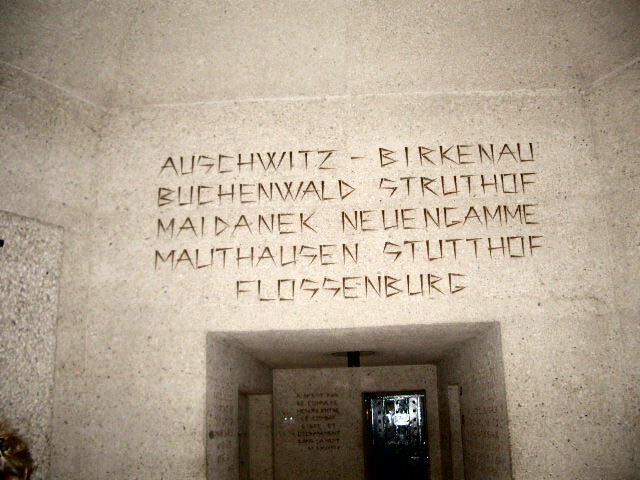 Inside are the names of the German death camps where 200,000 French, Jews and Christians alike, were put to death. 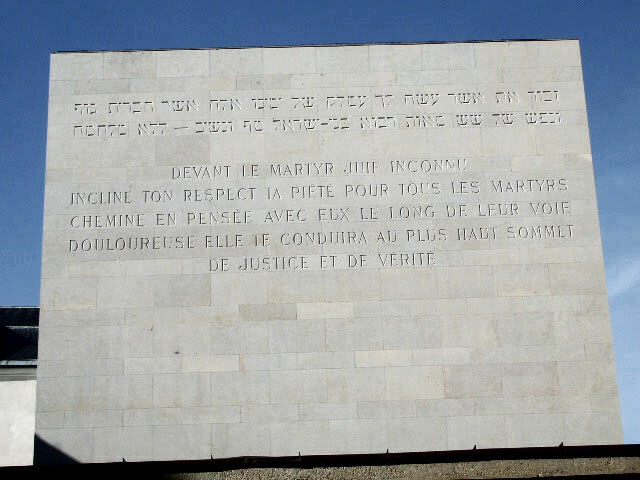 "In front of the Unknown Jewish Martyr...your respect the piety for all the martyrs in thought with them along their painful way...it will not lead to the highest point of justice and truth." 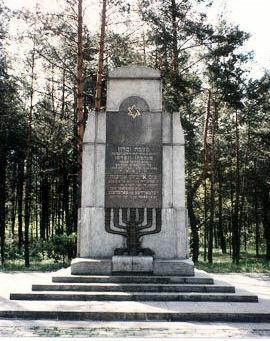 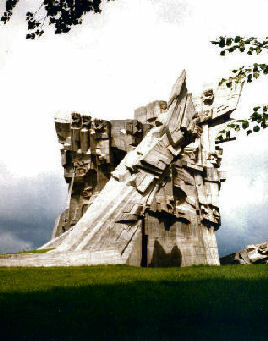 A memorial to those dedicated to those who lost their lives in the concentration camps of World War II. 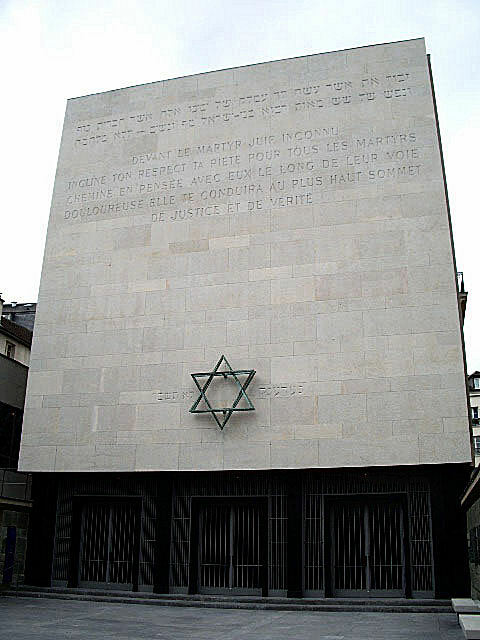 This memorial is located located in Paris at 17, rue Geoffroy-l'Asnier at the site of the Memorial of the Unknown Jewish Martyr. 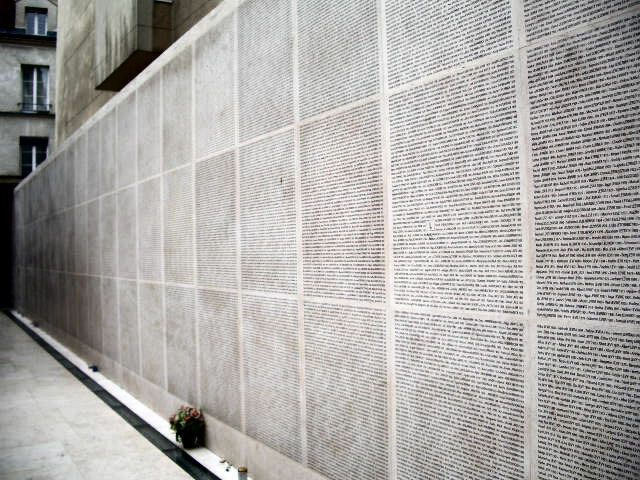 "The Wall of Names" lists the names of 76,000 Jews who were deported from France with the collaboration of the Vichy government. 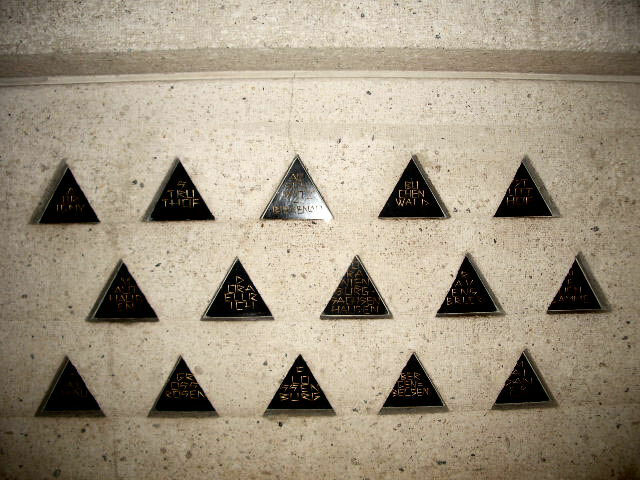 Just some of the names of those deported. 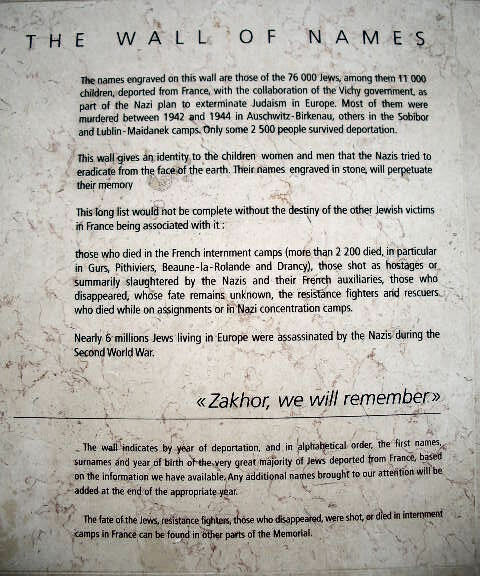 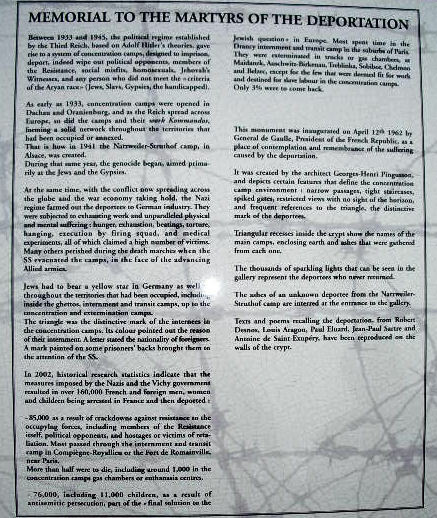 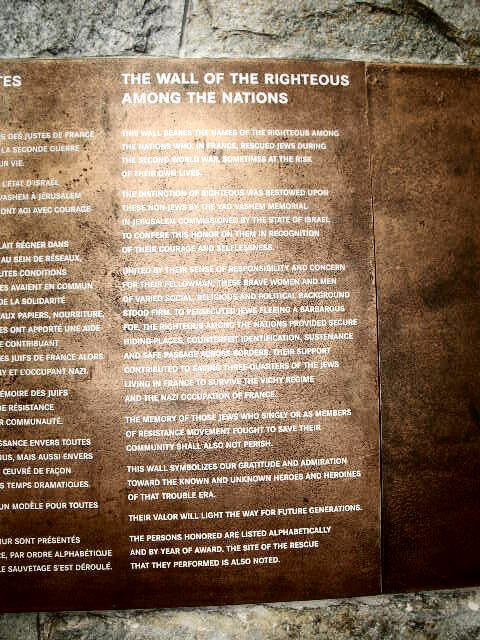 Plaque on "The Wall of the Righteous Among the Nations"
The plaque is located within the Marais district of Paris, in an area known as the Pletzl. 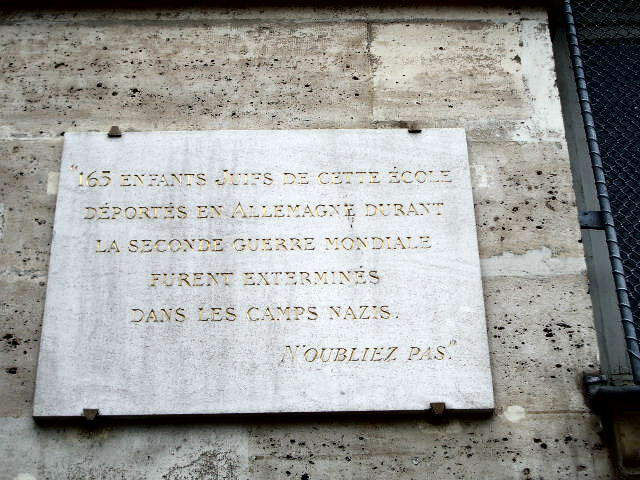 These two plaques are found on the walls of a former Jewish boys' school located at 6 rue des Hospitalieres-St-Gervais. 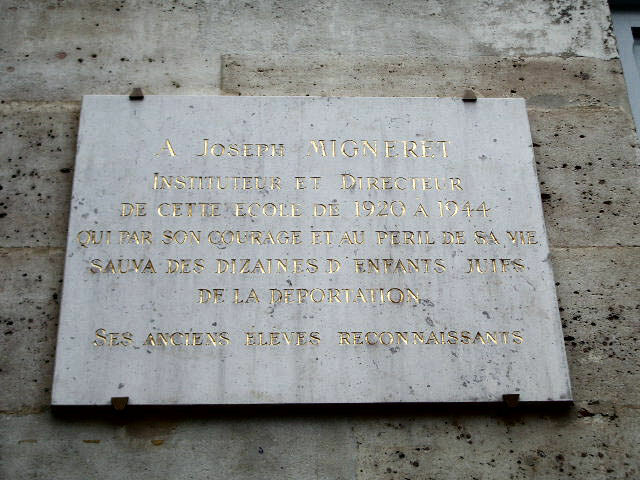 The inscription reads: "To Joseph Migneret, teacher and director of this school from 1920 to 1944 , who by his courage and at the peril of his own life, saved dozens of Jewish children from deportation...(by) his old, grateful students." 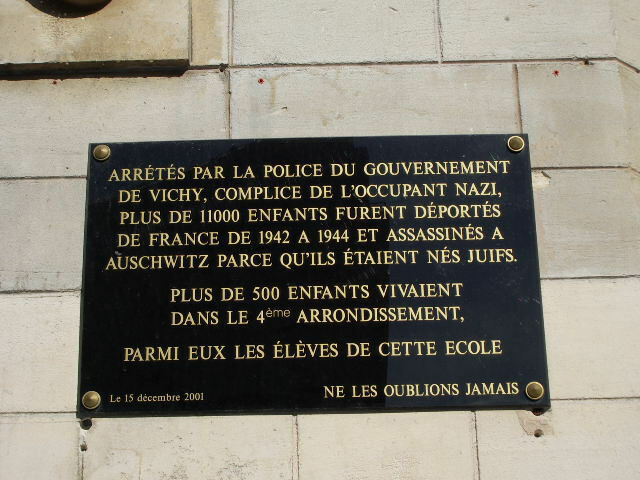 "165 Jewish children of this school, deported to Germany during the Second World War, were exterminated in the Nazi camps...Don't forget!" 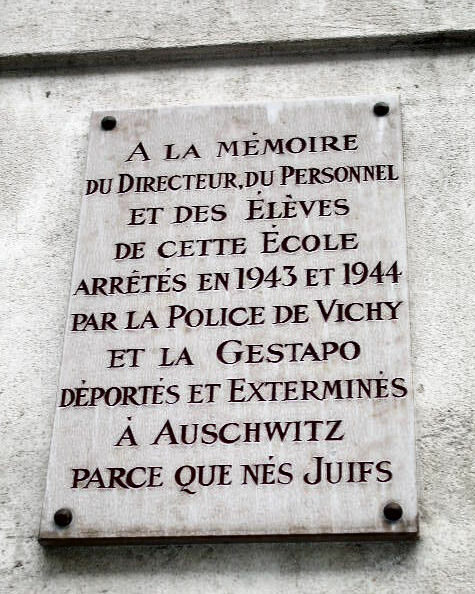 The plaque is dedicated to "the memory of the director, personnel and students of this school, arrested in 1943 and 1944 by the Vichy police and the Gestapo, deported and exterminated at Auschwitz because they were Jews."